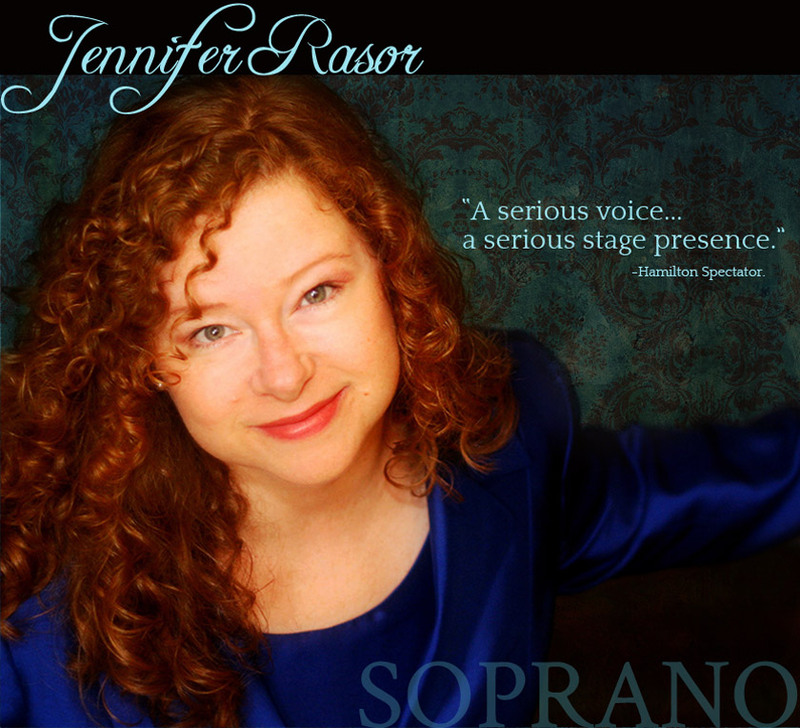 Jennifer Rasor is known both for her beautiful soprano voice and for her remarkable acting abilities. She is a flexible crossover performer comfortable in many different genres of stage work. Jennifer has excellent comedic timing and a strong sense of playfulness audible in her sound as demonstrated in the leading ladies of Rossini and Gilbert & Sullivan. Both entertaining and poignant was her role of Miriam in Elijah's Kite, the opera for children about bullying by the acclaimed Canadian composer James Rolfe. "She trills operatically to exploit the full humour of Sullivan's score." 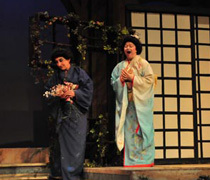 Most recent stage works include Cio Cio San in Puccini's Madama Butterfly with Toronto Opera Repertoire. 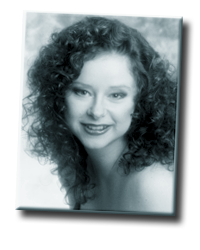 Jennifer recently revisited Gilda in Verdi's Rigoletto with Coro Verdi. 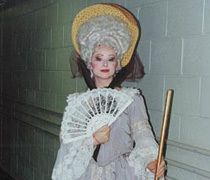 Another Verdi role she has performed is Oscar in Un Ballo in Maschera with Opera by Request. "The soul of the show is undoubtedly Cio-Cio-San, 'Madama Butterfly', played beautifully by Jennifer Rasor…impressive and moving…"
Concert works stretch from Pergolesi's Stabat Mater Dolorosa to Beethoven's 9th Symphony, Mozart's Exsultate, Jubilate to Orff's Carmina Burana. 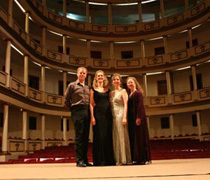 The song recital is another genre that interests Jennifer, having performed various concerts across Canada, in Mexico and in Germany. 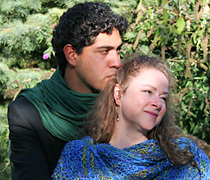 Jennifer has had the opportunity to study and work with such notable personages as Joyce Court, Adolfo De Santis, Franz-Paul Decker, Brian Deedrick, Claudette Denys, Charles Dutoit, Lucile and Robert Evans, Iwan Edwards, Glen Fast, Carol Baggott-Forte, Mark Flint, Christopher Foley, Nicholas Goldschmidt, Stuart Graham, Terry Kowalczuk, Jacques Lacombe, Lorna MacDonald, Giuseppe Macina, Ermanno Mauro, Michael McMahon, Yannick Nézet-Séguin, William Shookhoff, Wayne Strongman, Francois Racine, J. Patrick Raftery and Timothy Vernon. "...a sound that sent shivers up and down one's spine." "Jennifer Rasor embodied Cio Cio San's delicate and vulnerable nature in such a way that every spectator could not help but feel the pain she endured right up to her inevitable end." 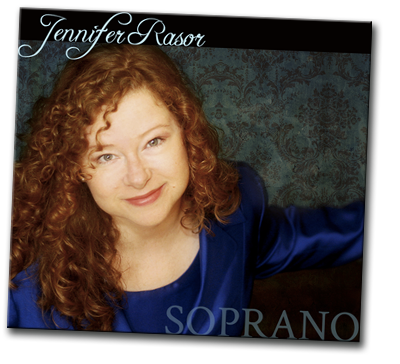 "Soprano Jennifer Rasor furnished radiant solos". 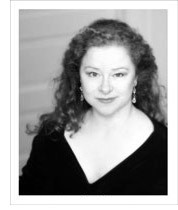 "Jennifer Rasor appears very sure of herself from the first and is able to draw confidently on the resources of her exceedingly beautiful soprano, which despite its wealth still has reserves." "Jennifer Rasor as Rosina showed all the virtues of a singer required in order to enjoy Rossini's compositions with complete joy. She romped through the coloraturas with admirable lightness, never losing her control, never appearing exerted. Both she and the audience enjoyed it." 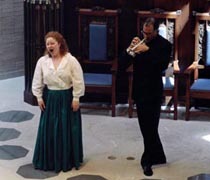 "Rasor has an enormous, gorgeously-beautiful voice"
"The most dynamic number was Mozart's 'Exsultate' which highlighted the power and quality of Jennifer Rasor's voice." Un Bel Dì aria from Puccini's Madama Butterfly, March 27, 2011. Cio Cio San sung by Jennifer Rasor, Elizabeth McLeod as Suzuki. © Jennifer Rasor. All Rights Reserved.